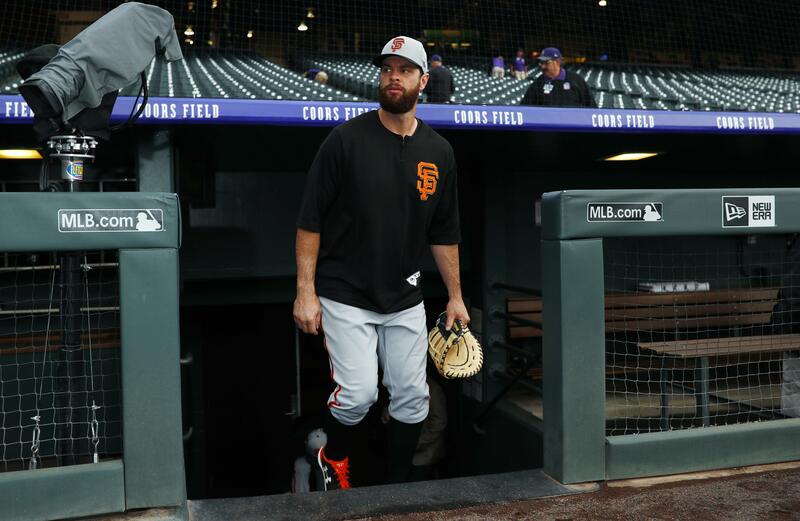 Sat., June 2, 2018, 5:28 p.m.
SAN FRANCISCO – Giants first baseman Brandon Belt underwent an appendectomy and was placed on the 10-day disabled list Saturday. He was resting after the procedure and expected to be released from a Bay Area hospital Saturday, the club said in announcing he underwent the procedure late Friday. Belt had one at-bat in a 4-0 victory against the Phillies on Friday night. He was removed in the third inning and taken to a hospital for possible appendicitis. Manager Bruce Bochy said Belt hadn’t felt well before the game and then got worse. Belt is batting .307 with 11 home runs and 31 RBIs in 53 games. Also Saturday, infielder Alen Hanson returned from a rehab assignment nursing a hamstring injury and was activated from the DL. Published: June 2, 2018, 5:28 p.m.